Attention deficit hyperactivity disorder is a mental disorder. Understanding people with ADHD can help to manage the disease better. ADHD/ADD, also known as attention deficit hyperactivity disorder, is a mental disorder that mostly affects children. The condition has been linked to various behavioral symptoms, such as hyperactivity and the inability to pay attention to tasks at hand. Another term that is often used to describe the disorder is ADD, or attention deficit disorder, but this term is considered outdated and doctors now use the term ADHD when diagnosing patients with the disorder. While the disorder is most commonly present among children, it can affect children well into their adult years. Knowing about the signs and symptoms, the process of diagnosing the disorder and the potential treatment options that are available can provide assistance and relief to parents who suspect their children might be showing signs of the disorder. Knowledge also helps adults who experience symptoms of the disorder recognize the signs and seek proper treatment to help them better manage the problems that the disorder is causing in their daily lives. Keep on reading and discover more interesting information on ADD and ADHD. Find out the most common ADD and ADHD symptoms and learn how to recognize these at an early age. Inform yourself about the ADD and ADHD causes, discovering how such conditions are actually diagnosed. If your child is showing signs of ADHD/ADD or has recently been diagnosed with the disorder, then the first thing you should realize is that you are not alone. In fact, according to a report by Health Line, as much as 6.4 million children between the age of four and 17 have been diagnosed with the disorder in the United States alone. The number of children that are affected by the disorder rises drastically when other countries are also brought into the equation. They also report that the average age at which a child is diagnosed with ADHD/ADD is seven years, while the symptoms often tend to start developing between the ages of three and six. You should also know that that number of children that have been diagnosed with ADHD/ADD has increased by 42% over the last eight years. Currently, it is estimated that at least 6.1% of all the children in the United States are receiving medicated treatment for ADHD/ADD. The fact that such a large number of children suffer from this disorder means that you (and your child) are not alone. Children are, however, not the only ones affected by the disorder. The disorder is also known to affect adults – the ADHD/ADD Institute reports that between 50% and 66% of all children that are diagnosed with ADHD/ADD will experience the symptoms in their adult life as well. They also report that an estimated 3.4% of the global adult population experience symptoms of the disorder. The fact that the brain is often considered to be the most complex mechanism in existence, scientists usually find it difficult to accurately study the brain and to make detailed connections between certain diseases and the way it works on the brain itself. While many scientific studies have monitored the effects of ADHD/ADD on the brain, studies still continue to better understand how ADHD/ADD works. The more scientists discover about the effects of the disorder on the brain, the more potential to treating the symptoms. Even though the brain is so complex, several findings have already been made that linked ADHD/ADD to certain aspects of the brain. Studies are usually conducted among two groups of people – one group would be patients who have been diagnosed with ADHD/ADD, while the other group would be patients who have not been diagnosed with the mental illness. MRI scans are often the preferred method for conducting these studies as these scans can help doctors and scientific researchers find evidence of how the brain is affected by the disorder. Health Line reports that studies have found that the brain size of children with ADHD/ADD is about 3% smaller than the brain size of children without ADHD/ADD. They also observed that certain parts in the brains of ADHD/ADD children were smaller, including the frontal lobes. In addition to these findings, it was also discovered that neural pathways were somewhat different in children with the disorder when compared to children who haven’t been diagnosed with the disorder. Parents may find it difficult to notice some of the signs and symptoms of ADHD/ADD due to the fact that it is not abnormal for children to be hyperactive at some times. Other symptoms of ADHD/ADD can also be common actions that a lot of children without the disorder do. The key to detecting the disorder in a child is to monitor the effects of these symptoms, how they affect the child’s life and the frequency of the symptoms. While being hyperactive and unable to focus once or twice a month does not necessarily point towards ADHD/ADD, noticing that a child is constantly having problems with their ability to focus and they are often experiencing sessions of hyperactivity may be a definite sign. Another important fact to consider is the fact that the symptoms of the disorder can defer from one person to another, and adults often tend to showcase different symptoms than children. Finding it difficult to prioritize tasks, chores and assignments in their lives. Finding it difficult to focus on a task at hand. Often missing important deadlines or forgetting to attend social gathers and business meetings. Not being able to properly manage their time and finding it difficult to focus on more than one task at the same time (multitasking). Feeling restless and excessively partaking in activities. Frequently experiencing mood swings. They may be very happy one moment and then, in a matter of seconds, become extremely sad or angry. Finding it difficult to cope with stress from their everyday lives – such as stress that are placed upon them by work or family matters. It is important to realize that experiencing some of these symptoms now-and-then does not mean you (or your adult friend) have ADHD/ADD. They are all very common symptoms that we experience at some point in our lives. The key is to notice when these symptoms are consistent – experiencing them on a regular basis might point out that an adult person has this mental disorder. While some of the symptoms in children may be similar to the symptoms in adults, you should realize that children and adults tend to live completely different lives. For this reason, the symptoms may seem completely different in children than it does in adults. Hyperactivity, impulsivity and inattention are the three major symptoms that are associated with ADHD/ADD in children. The child is constantly in motion and participating in activities, even when the activities seem to be meaningless to them. The child is constantly fidgeting and they find it extremely difficult to be still for even short amounts of time. The child seems to have trouble listening to instructions or obeying when they are talked to. Children with ADHD/ADD often intrude on other people or interrupt conversations without considering the fact that other people are busy talking with each other. The child may find it difficult to complete tasks that they are given and they may be easily distracted. Parents and people who are somehow affected by the mental disorder should realize that the symptoms are not the same for every patient and not all the symptoms need to be present in one patient for them to have ADHD/ADD. While some children (and adults) who have this mental disorder tend to be restless all the time and constantly experience sessions where they become extremely hyperactive, others may not express the hyperactivity, but rather easily wander off into their own mind and find it difficult to focus on people who are around them while they are busy with a certain task. When a child showcases symptoms that are associated with ADHD/ADD, it does not necessarily mean they have this mental disorder. In some cases, the symptoms may be related to another condition. Thus, obtaining a thorough diagnosis from a doctor before establishing whether your child has ADHD/ADD is essential. It is also important to note that there are no medical tests available to provide a specific diagnosis of ADHD/ADD. Doctors usually need to gather details about the patient’s symptoms and other important information to determine whether the problem could be related to this mental disorder. What are the exact symptoms that the child showcases? How long has the child been showcasing these symptoms? How severe are the symptoms and how often does the child experience them? How have the symptoms affected other members of the family or other children at the school? Once these questions have been answered and the doctor has gathered an adequate amount of information, they will be able to make a more informed decision as to whether the child needs to be thoroughly examined. In such a case, the doctor may suspect that the child has ADHD/ADD. This may be followed by a physical exam and a brain scan. The doctor will also need to study the child’s medical history. When it comes to diagnosing an adult with ADHD/ADD, the process is quite similar. A doctor may also need to speak to some of the people who the adult patient works with to determine how they behave at their workplace. ADHD/ADD may be a distracting and inconvenient disorder, but parents and people affected by the disorder should not immediately seek remedies for treating ADHD/ADD once the symptoms of the disorder are noticed. It is vital to find an accurate diagnosis at all times to avoid placing the child under distress or causing further harm to them. Many of the symptoms that are associated with ADHD/ADD are also associated with several other conditions – both mental and physical. Thus, it is important to first rule out any other possible causes of these symptoms before seeking treatment for ADHD/ADD. In some cases, parents will find that the child is rather affected by another condition, such as a learning disability, rather than ADHD/ADD. Treating the child for ADHD/ADD would then be causing more harm to the child than good as the treatment would not be effective in treating the source that is causing the symptoms to develop. Learning disabilities – This issue can be caused by a mental problem. It may cause the child to find it difficult to read and write, as well as to properly equip themselves with language skills. In adults, learning disabilities often also interfere with their motor skills. A major life event – This could be due to the death of someone who the child was close to, the divorce of their parents, being bullied at school or even recently moving to a new town. Medical conditions – Certain health concerns may also interfere with a child’s mental health and cause them to exhibit symptoms of ADHD/ADD. Some examples of medical conditions that could be causing such symptoms include neurological issues, thyroid disorders, sleep disorders and epilepsy. Psychological disorders – It is quite common for children to experience symptoms of ADHD/ADD when they are suffering from a psychological disorder. Some common psychological disorders that may be causing these symptoms include depression and anxiety, as well as bipolar disorder in some cases. Once these potential health conditions have been ruled out, it will be easier to make a final diagnosis on whether or not a child has ADHD/ADD. It is, however, also important to know that some children can experience both ADHD/ADD and some of these health conditions at the same time. For example, a lot of kids who have been diagnosed with ADHD/ADD also have a learning disability. ADHD/ADD is a term that refers to a disorder that affects a child’s brain. The condition, however, does not affect every child in the same way. In fact, doctors have sub-categorized the mental disorder to allow parents and people who are affected by the condition to better understand the disorder. The first two types of ADHD/ADD have their own list of symptoms that children experience. When children experience the specific symptoms that are associated with a specific type of this disorder, then they may be diagnosed as an ADHD/ADD patient – either with Inattentive ADHD/ADD or Hyperactive-Impulsive ADHD/ADD. In some cases, however, children showcases symptoms of both Inattentive ADHD/ADD and Hyperactive-Impulsive ADHD/ADD. When this is the case, the doctor may diagnose the child with the third type of the disorder, Combined ADHD/ADD. Combined ADHD/ADD refers to a type of ADHD/ADD where children exhibit symptoms of both Hyperactive-Impulsive ADHD/ADD and Inattentive ADHD/ADD. To better understand each of these subcategories, let’s take a look at the symptoms that are associated with them. Inattentive attention deficit hyperactivity disorder includes a total of nine recognized symptoms. In order to be diagnosed with this type of ADHD/ADD, a child has to showcase a minimum of six symptoms that have been associated with Inattentive ADHD/ADD. The child is not focusing on the details of certain tasks and projects that they are participating in or busy with. The child is prone to making mistakes that seem careless. The child is unable to keep focused on a specific task that they are busy with and often fails to complete the task at all. The child is unable to pay attention to general situations. The child does not listen when he is spoken to. The child is unable to fully understand instructions given to them, thus they tend to conduct the task in a different way or completely fail to do it. The child avoids any type of task that involve effort – sometimes children with this type of ADHD/ADD will even avoid tasks that involves the smallest amount of effort. The child is prone to forget things – even simple things that they are told. The child gets distracted easily, even by small things that do not usually extract a person from a task at hand. The child is prone to lose important items that are needed to complete certain tasks. Children who are affected by inattentive ADHD/ADD are usually not hyperactive. Their problem does not lie with hyperactivity, but rather with their ability to stay focused on a task that they are busy with or on activities that they are participating in. The other main type of attention deficit hyperactivity disorder is hyperactive-impulsive ADHD/ADD. Similar to the other main type of the disorder, a child needs to showcase at least six of the symptoms before they can be diagnosed as an ADHD/ADD patient. 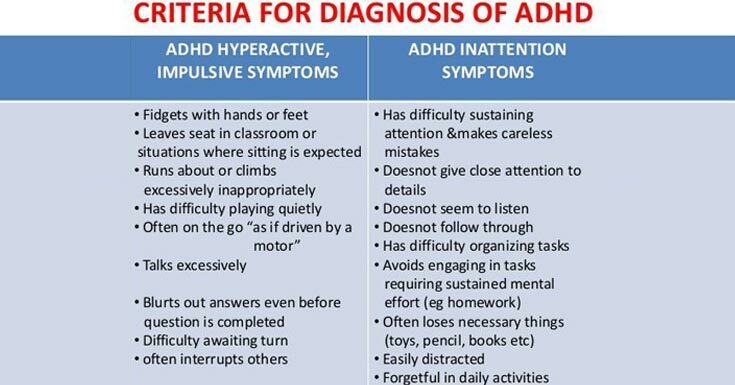 In order to be diagnosed with this type of ADHD/ADD, a child may also experience a few of symptoms related to inattentive ADHD/ADD. The child is constantly squirming and fidgeting. The child tends to get up frequently while they are sitting. This behavior is often also seen in the classroom when the child gets up from their chair without being called by the teacher and without having to go somewhere. The child often starts to climb objects or run at times that seem inappropriate. The child finds it difficult to be quiet while they are playing. The child tends to talk excessively, often while someone else is busy talking with another person. The child is often found interrupting conversations or actions conducted by other people. The child talks out of turn and tends to blurt out (frequently says something random that does not make sense at all). One way many people describe children who have been diagnosed with hyperactive-impulsive ADHD/ADD is that they always seem to be on the move, as if they are propelled by a mechanism such as a motor. Children who have this type of ADHD/ADD often exhibits a hyperactive behavior, unlike the children who have inattentive ADHD/ADD, who are usually quieter, but struggles to pay attention to certain events. 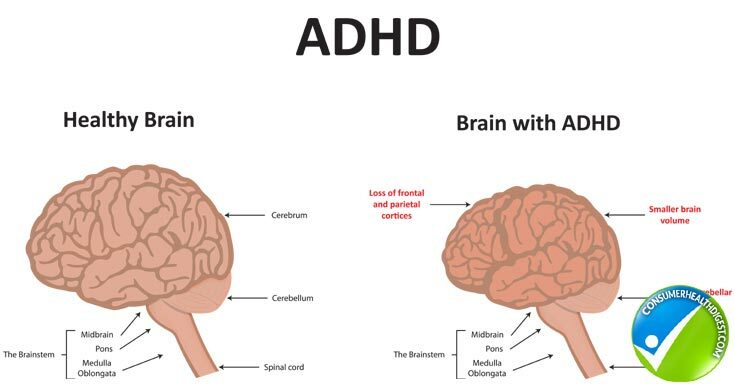 Even though combined ADHD/ADD is often referred to as a type of attention deficit hyperactivity disorder, it is really just a term used to describe a condition where a child exhibits symptoms of both types of ADHD/ADD – inattentive ADHD/ADD and hyperactive-impulsive ADHD/ADD. 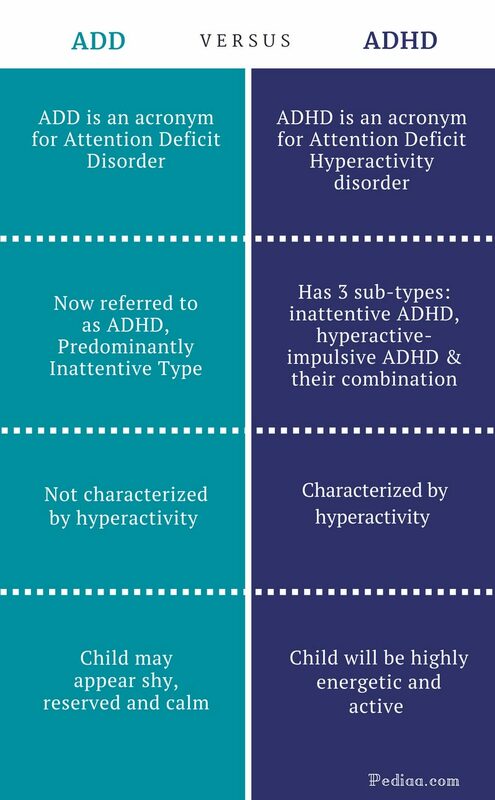 While each of these can be diagnosed on its own even when the child is exhibiting a few of symptoms related to the other type of ADHD/ADD, combined ADHD/ADD means the child exhibits an equal amount of symptoms from both types. Doctors diagnose a child with combined ADHD/ADD when they exhibit six or more symptoms of inattentive ADHD/ADD and six or more symptoms of hyperactive-impulsive ADHD/ADD at the same time. While ADHD/ADD can make a child and their parents’ lives challenging and even inconvenient at some times, the disorder does have some positive attributes that have been linked to it as well. Since ADHD/ADD is not a curable disorder, but rather a condition that can be managed, it is important not to look at it in a negative way at all times. Instead, try to look at some of the positive aspects it can place on a child’s life – this may help both the child and their parents’ overcome some of the more difficult challenges that the disorder puts in their lives. Children who have been diagnosed with ADHD/ADD often exhibit exceptional creativity and they have a magnificent imagination. While these children are extracted by even the smallest of things, they also tend to notice things in life that those around them do not notice. Many children with ADHD/ADD can use their creativity to help them become better problem solvers or even to help to thrive as aspiring artists. Children with this mental disorder often find that they consider all available options that are available to them in every situation, instead of putting their mind to one specific option. This means that children with ADHD/ADD are flexible when it comes to decision-making, which may often lead to making better decisions as well. Children with ADHD/ADD are usually full of energy and they have the drive to succeed in whatever it is their doing – despite the fact that they are easily distracted from a task at hand. Apart from these positive features, these children are also found to be very interesting as, due to their imagination and creativity, they always have something interesting to say to others. People often find that it is fun to around children who have ADHD/ADD. When it comes to treating attention deficit hyperactivity disorder, people should first realize that the disorder does not have any cures. Medical researchers have found that certain parts of the brain are somewhat smaller among children with ADHD/ADD when compared to children without ADHD/ADD. They also found that certain pathways work differently. Even though no cure is available to completely eliminate the disorder, a variety of treatment options is available that can help to control the symptoms that are caused by the disorder. Parents often find that a combination of treatment options help to keep the symptoms under control, while also helping to reduce the onset and frequency of future symptoms. Among adults, many patients with ADHD/ADD have found that treatment options help them improve their productivity so that they can perform better at work without falling prey to symptoms of the mental disorder. One of the most important things that parents often fail to realize when they face the challenges that ADHD/ADD in their child brings to their life is the fact that they are also involved in the condition. While they may not personally be experiencing the symptoms, their child is relying on them to help them manage the symptoms and improve their quality-of-life. Thus, parents should not only make it a priority to help the child overcome the challenges that the disorder puts in their life, but also need to take some time out to make sure they care for themselves. If parents do not care for themselves too, how will they continue to care for their child that has been diagnosed with ADHD/ADD. Parents should ensure they eat a healthy, balanced meal that will provide them with enough energy to cope with their child’s symptoms. 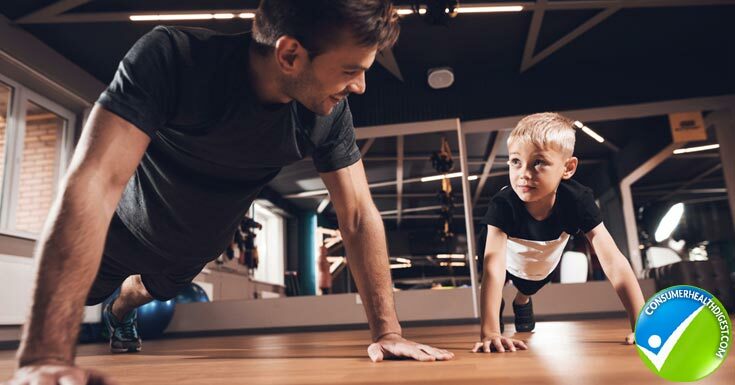 They should also take part in regular exercise to stay healthy and able to cope – exercise is not only an excellent way to improve the overall health of the human body, but has also been linked to reduced levels of stress. Other techniques for lowering stress levels should also be incorporated into the parent’s daily life. Among adults, treatment options would be similar, but would not include a special educational program as there would be no need to provide assistance during school-time. To better understand each of these treatment options, let’s take a closer look at them individually. A special education program is not always part of a treatment plan for children diagnosed with ADHD/ADD. This treatment option is usually offered to children when the parents and/or teachers find that the symptoms that are caused by their condition interfere with their ability to do well in school. The level of special education assistance that is required by each child also defers. While some children only need some small adjustments to the way they regularly attend school, such as using a recorder to record the sessions so that they can listen to it later in an isolated site, other children may need more advanced intervention, such as a complete change of classes to accommodate them better. An example of a special educational implementation is an assistive technology device, also referred to as an AT device. These devices defer, depending on how “state-of-the-art” they are, but generally helps students with special needs better organize their school work. Taped lectures, markers, color coded folders with index tabs, pagers, devices with built-in reminders and electronic organizers are only a few of the AT devices that can be used to make the school life of an ADHD/ADD child somewhat easier. This is also called behavioral programs. There are many behavioral programs that have been specifically developed to support children who have been diagnosed with ADHD/ADD. These programs help them create better structure in their lives, they encourage the fulfillment of routines and they help the child understand what is expected of them. Social development programs that offer ADHD/ADD children the ability to learn how to develop better social skills. These programs will learn these children how to develop social relationships with other people, as well as how to maintain these relationships once they have been established. Numerous support groups are also available for both children and parents. Support groups are, however, more commonly utilized by parents. These groups are filled with other parents that also have a child that have been diagnosed with ADHD/ADD, thus they people in these groups know how it feels to deal with an ADHD/ADD child. Sometimes, simply having someone to talk to is enough for parents to already feel better and cope with the situation. At times, the people in the support group can also offer assistance to each other and even provide some tips for other parents, especially those who have only recently discovered that their child has ADHD/ADD, on how to be a better parent for their child. 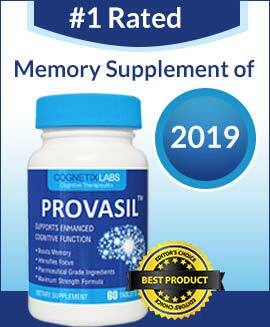 Related Brain Enhancer You Should Explore: Brain Evolution System: How Safe And Effective Is This Product? Apart from the special educational programs and psychological interventions, a range of different medication is also available to help reduce the symptoms of ADHD/ADD. The type of drug that is prescribed to the patient, as well as the frequency of administration and the strength of each dose will depend on how severe the patient’s ADHD/ADD has developed, how frequently they experience the symptoms of the disorder and how old they are. The most common drugs that are used to treat ADHD/ADD are known as stimulants. These drugs have been used as an effective treatment method for many years and they work by helping the patient focus their thoughts. These drugs also help patients ignore any distractions that surround them, thus further improving their ability to focus on tasks that they are working on. WebMD reports that up to 80% of patients with ADHD/ADD, including both children and adults, find that stimulant drugs work effectively for them. These drugs can be used to treat ADHD/ADD symptoms that are mild, moderate or severe. They are often given to patients with ADHD/ADD that find their symptoms interfere with their ability to perform well at school, at work or at home. Short-acting stimulants, which immediately releases into the patient’s body and start to take effect rather quickly. These stimulants tend to wear off quickly though, thus the patient may be requested to take them more than once every day. Intermediate-acting stimulants, which provide a longer release. These stimulants tend to work for a longer period of time than the short-acting stimulants. Long-acting stimulants, which is taken once every day and the effects will help the patient be in control of the symptoms throughout the entire day. Popular stimulants include Ritalin, Adderall, Adzenys, Dexedrine, Zenzedi, Focalin, Vyvanse, Concerta, ProCentra and Quillivant XR. As with any type of drug, stimulants tend to cause some side-effects. As with any type of drug, stimulants tend to cause some side-effects. Fortunately, the majority of side-effects that are caused by stimulants used to treat ADHD/ADD symptoms are relatively mild. Common side-effects include sleeping problems and a loss of appetite. An increase in heart rate, body temperature and blood pressure is also experienced in some cases. Some patients with ADHD/ADD find that stimulants simply do not work for them or the drugs cause unpleasant side-effects to develop. In such a case, a doctor may prescribe a dose of non-stimulants to the patient to determine whether or not these will work. Guanfacine – This non-stimulant drug is mostly given to children and adolescents between the ages of six and 17. Atomoxetine – This is the first non-stimulant drug that was approved by the FDA for the treatment of ADHD/ADD symptoms. Doctors prescribe this non-stimulant to patients of all ages, including children, teenagers and adults. Clonidine – This drug can be prescribed for patients of all ages. It can be used alone, but is often coupled with a stimulant to enhance the effectiveness of both drugs. Should a patient not be positively affected by both stimulant drugs and non-stimulant drugs, a doctor may further experiment with a range of other drugs to find an effective treatment for the specific patient’s condition. These drugs may include Elavil, Wellbutrin, Effexor, Zoloft, Aventyl, Lexapro and Tofranil. While a series of treatment options that include some adjustments to the child’s educational program, the addition of a behavioral program and the administration of a drug developed to treat ADHD/ADD symptoms may be an effective protocol for helping children and adults cope with their systems, people should realize that these are not all the aspects that can improve the quality-of-life and symptoms of individuals diagnosed with ADHD/ADD. In reality, there are many ways in which both the child and parent can work together in order to reduce the effects that ADHD/ADD has on their lives. Various strategies also exist for adults that have been diagnosed with the disorder. Do not postpone a doctor’s appointment to get a diagnosis. Even when you are unsure of whether the condition may be related to ADHD/ADD, make an appointment and get it out of the way. The sooner treatment starts; the sooner the patient can find relief of the symptoms. Establish some structure and then make sure to stick to the newly founded structure at all times. This could include routines, a simplified schedule and a daily set of activities. Parents need to ensure their children know what is expected from them. Create a set of rules and ensure they know what happens when they do not comply with the rules. Also tell them what will happen if they do comply with the rules you have set. Every time they obey or disobey, be sure to implement the action the appropriate action. ADHD/ADD patients need to participate in regular exercise, eat a healthy and balanced diet, avoid sugary foods and obtain an adequate amount of sleep. All of these factors can help to improve the symptoms of the disorder. Is there a difference in ADD and ADHD? ADD stands for “attention deficit disorder” and it represents a term that was used to describe ADHD, “attention deficit hyperactivity disorder” in the past. The two conditions are one and the same, however, in recent years, researchers have noticed that the attention deficit and hyperactivity are essential characteristics to be considered. While attention deficit hyperactivity disorder can become a challenge in the lives of patients who are diagnosed with the condition, as well as in the lives of anyone that are involved in the patient’s life, it does not mean it is the end of the world. The condition can be effectively treated with a series of lifestyle changes, medications and some additional help from professionals that specializes in dealing with ADHD/ADD patients. If you suspect your child (or you) may have symptoms of ADHD/ADD, it is important to see a doctor as soon as you can. Early diagnosis may even lead to improved effectiveness of the treatment. In conclusion, ADD and ADHD represent medical conditions that could benefit tremendously from early intervention and treatment. The essential thing is to recognize the ADD and ADHD symptoms as soon as it is possible, so that intervention can follow. 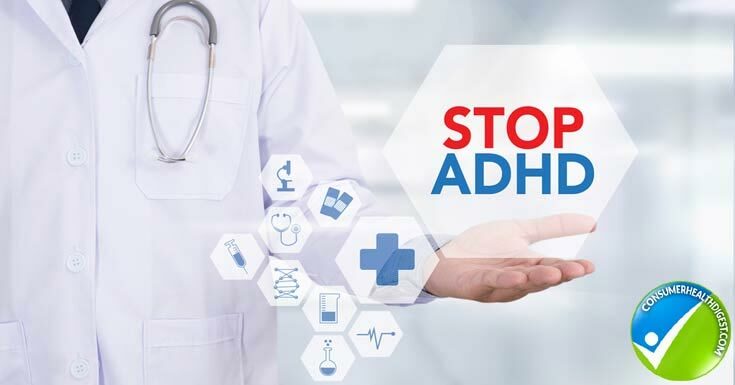 As you have seen, the ADD and ADHD causes are not as easy to identify but, once a correct diagnosis has been made, one can seek out the best solutions to improve one’s functionality.